Seventy years ago Dr. William Albert Zisman arrived at the Naval Research Lab.1 It was during his years at the NRL that he developed the NRL Goniometer which has been made by ramé-hart for over 45 years. This month we pay tribute to Dr. Zisman in the form of a condensed biography. William Zisman was born in 1905 in Albany, NY, and grew up in Providence, RI. At the age of 14 he and his family moved to Washington, DC. He went on to earn BS (1927) and MS (1928) degrees from Massachusetts Institute of Technology where he began his research career. After his years at MIT, he became a research assistant for P. W. Bridgman, an American scientist who won the 1946 Nobel Prize in Physics, working on high pressure physics experiments. While at Harvard he earned his PhD in 1932. He continued on there as a post-doc studying high pressure physics relating to the earth's core for another two years. During this period of his career, Zisman became increasingly interested in the properties of monolayers of oil on water and metals. He began working on the surface properties of matter following in the footsteps of Langmuir, Harkins, Rideal, and others. Research funds were tight and he returned to Washington where he held several different administrative jobs for various federal agencies that had been born during the New Deal era. In 1938 he left his government job and returned to research as a guest scientist at the Carnegie Institution's Geophysical Laboratory where he worked under Dr. Roy Goranson for no pay. The papers he co-authored with Dr. Goranson on the electrical properties of Langmuir-Blodgett multilayers caught the attention of researchers at the Naval Research Lab where he was invited to head up their Surface Chemistry section. 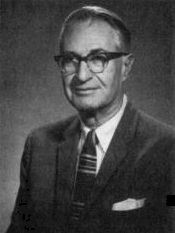 By 1956 Zisman became Superintendent of the Chemistry Division at the NRL, a post which he held until 1968 when he became Chief Scientist of the Laboratory for Chemical Physics, a post he held until his retirement in 1975. During his career at NRL, Zisman was involved in a number of important research projects which benefitted from his ability to use theoretical science to solve practical hands-on problems. During the 1950's he worked on improving lubricants which led to the development of the first hydrocarbon ester lubricants. These synthetic lubricants eventually were used in nearly all military and civilian gas turbine-powered aircraft and became an important component in the space program and myriad other technologies. It was Dr. Zisman who brought to the attention of DuPont's director of research that the non-wetting properties of Teflon were more important than its chemical inertness. This led to Teflon's use as a non-stick surface for frying pans and cookware. His research spanned a wide spectrum of surface science challenges - from adhesion and protective coatings, to synthetic lubricants, barrier films, and corrosion inhibitors. - Distinguished Civilian Service Award from Secretary of the Navy, 1954. - American Chemical Society Carbon and Carbide Award, 1955. - American Society of Lubrication Engineers National Award, 1961. - Kendall Award in Colloid Chemistry, 1963. - Department of Defense Distinguished Civilian Service Award, 1964. - Honorary Doctor of Science, Clarkson College of Technology, 1965. - Captain Robert Dexter Conrad Award, 1968. - American Society of Mechanical Engineers Mayo D. Hersey Award, 1969. - Federation of Societies of Paint Technology Joseph J. Mattiello Award, 1971. 4 W.A. Zisman, ACS Adv. Chem. Ser. 43, 1 (1964). Half the world uses 115-120V power like we use here in the US. The other half of the world uses 220-230V power. When you order any ramé-hart instrument, we take in to account the country where it will be deployed in order to provide the correct power supplies. In addition we also provide the correct country-specific power cord. In countries that use more than one type of cord, we will contact your purchasing contact for clarification. The most popular cords are US style followed by Euro and UK. Next in popularity are Israel, India (which is the old UK style cord), China, Brazil, and Australia/New Zealand (which looks like the Chinese cord but is different). Once in a while we ship a system with an Argentine, Japanese, (pre-Euro) Italian, or Danish cord. Whatever type of cord you use, we've got it...or we'll get it. Lastly, we have a custom dual voltage test station here at our facility with connectors for all of the major cord types. This allows us to test your system with your cords at the correct voltage for your installation prior to shipping your order. It's all part of our mission to provide a complete tested turn-key solution that works right out of the box.